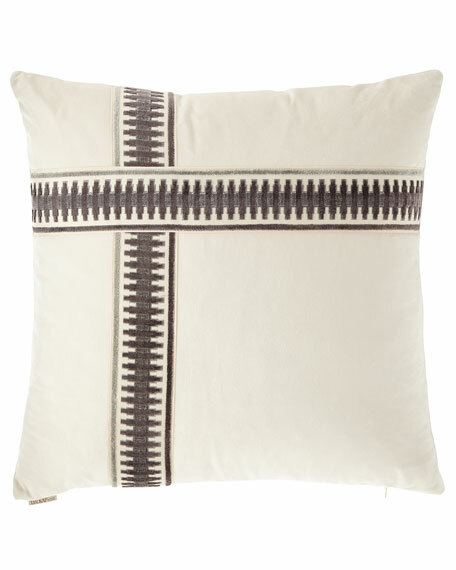 Handcrafted pillow with woven cross design. 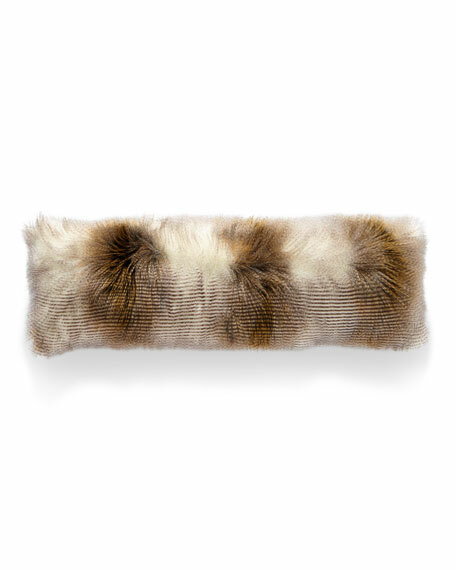 Cover: polyester.Removable feather/down insert. Hidden zip closure. 24"Sq. Dry clean.Made in the USA of imported materials. 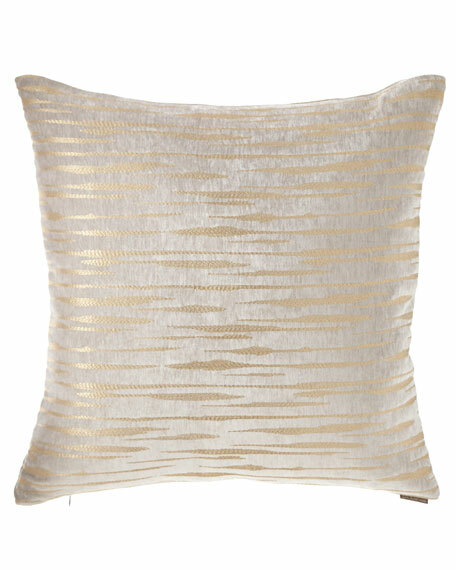 Handcrafted partial shimmer pillow. 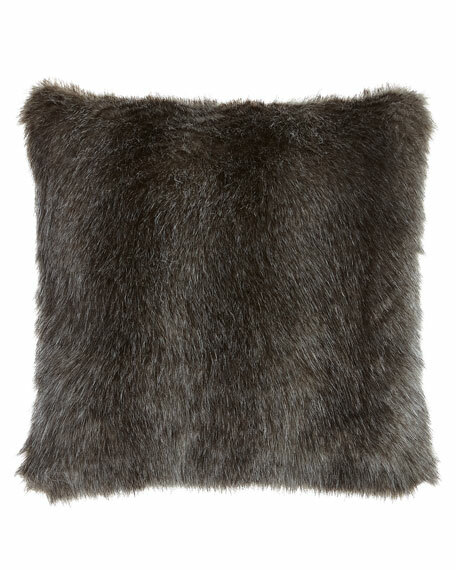 Cover: polyester/rayon.Removable feather/down insert. Hidden zip closure. 24"Sq. Dry clean.Made in the USA of imported materials. 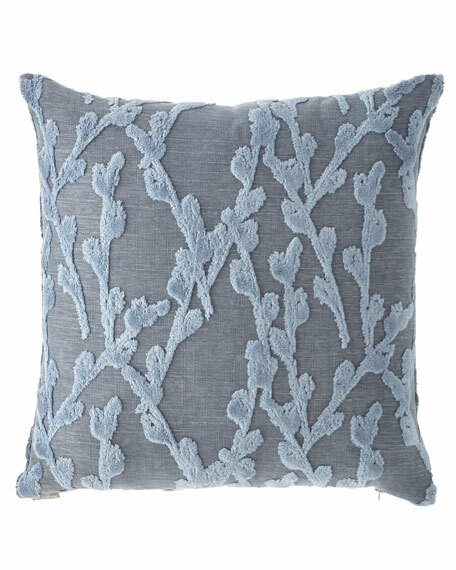 Handcrafted pillow with 3D branch pattern. Removable feather/down insert included. Hidden zip closure. Cover: polyester/cotton/viscose.Dry clean.24"Sq. Made in the USA of imported materials. 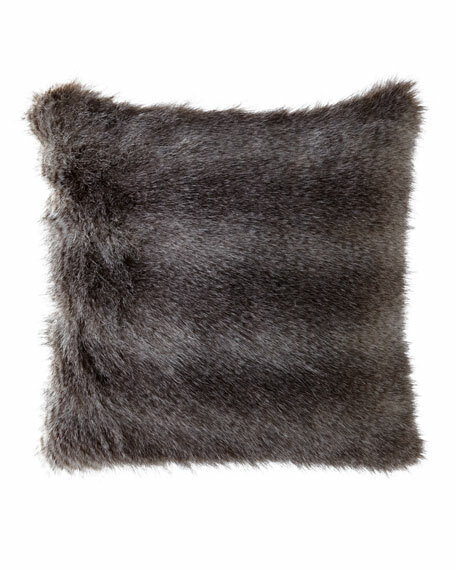 Handcrafted bolster pillow in two-tone faux fur (polyester/acrylic). Hidden zip closure. Removable feather/down insert. 14" x 42". Dry clean.Made in the USA of imported materials.